If you haven't heard it's Chicago Restaurant Week now until February 6. What I love about restaurant week is the opportunity to try a new restaurant with a prix fixe menu starting at $22 for lunch and $33 and/or $44 for dinner (excluding beverages, tax and gratuity). It's a great excuse to venture out to a new neighborhood in Chicago and taste some amazing food. 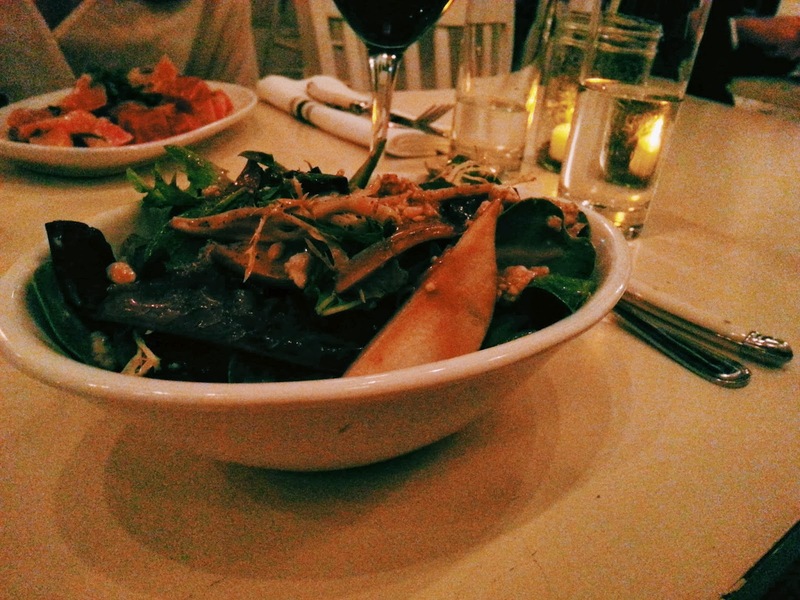 Last weekend I experienced restaurant week at Grass Fed in Bucktown. I had heard amazing things about their brunch (specifically their chicken and waffles), but I was thrilled to try the prix fixe dinner menu for restaurant week. I should start by saying the ambiance of Grass Fed is extremely inviting with white-washed walls and shelves lined with topiaries. After ordering a glass of Cabernet I started with the simple salad with organic greens, pears, blue cheese and a creamy balsamic dressing. This salad was the perfect start to the night with the refreshing pears and delicious dressing that didn't over power the salad. 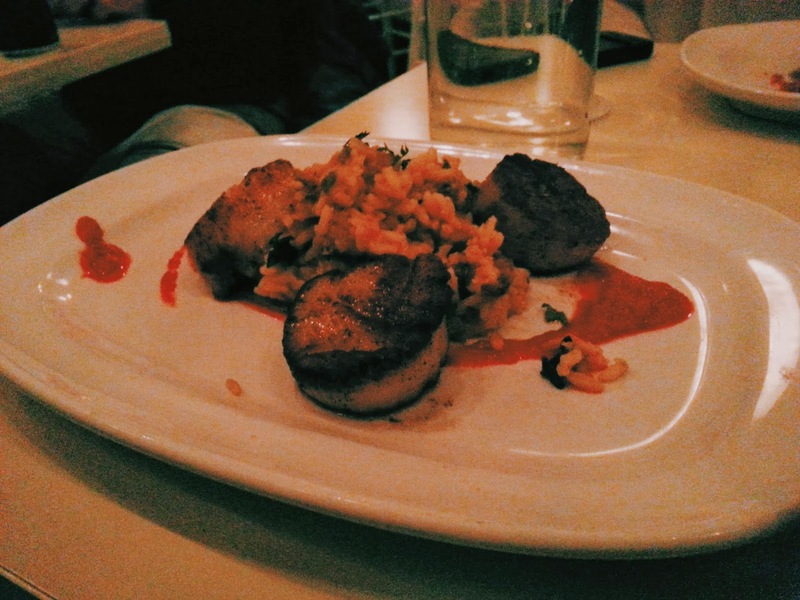 For the second course I ordered the sea scallops with dirty rice and a roasted red pepper sauce. I'm a huge fan of scallops and paired with this amazing roasted red pepper sauce it was a home run dish. 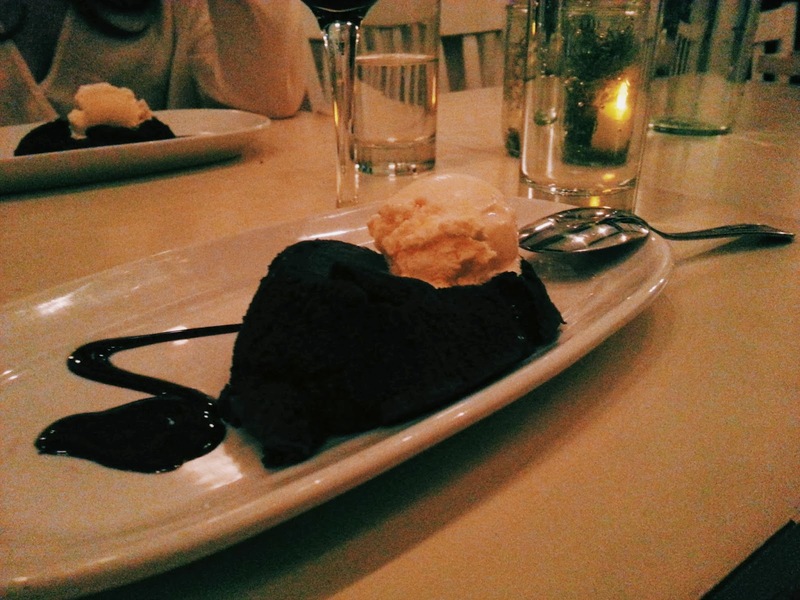 And last (but certainly not least) we enjoyed the warm chocolate cake with vanilla ice cream and ganache. Since I'm slightly obsessed with chocolate this cake was definitely a highlight of the night. I was really impressed with the delicious food and excellent service (shout out to our amazing waiter) at Grass Fed. I'm definitely coming back soon to try their brunch menu.